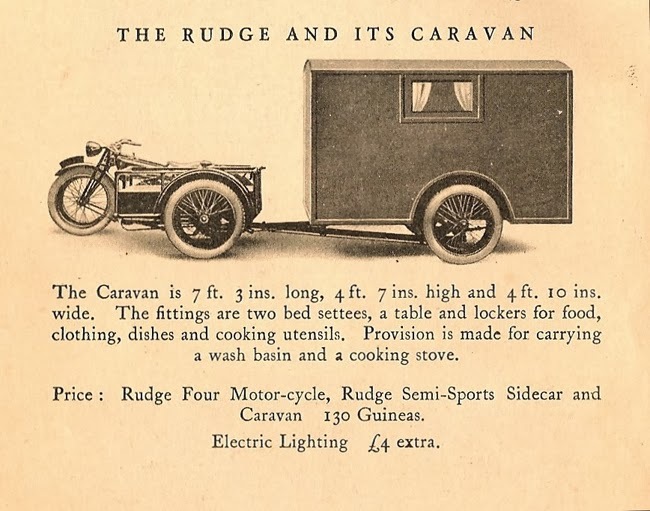 Rudge-Whitworth Cycles of England produced their first motorcycle in 1911, but it wasn't until 1927 that they decided to step boldly into the world of motorcycle camping. 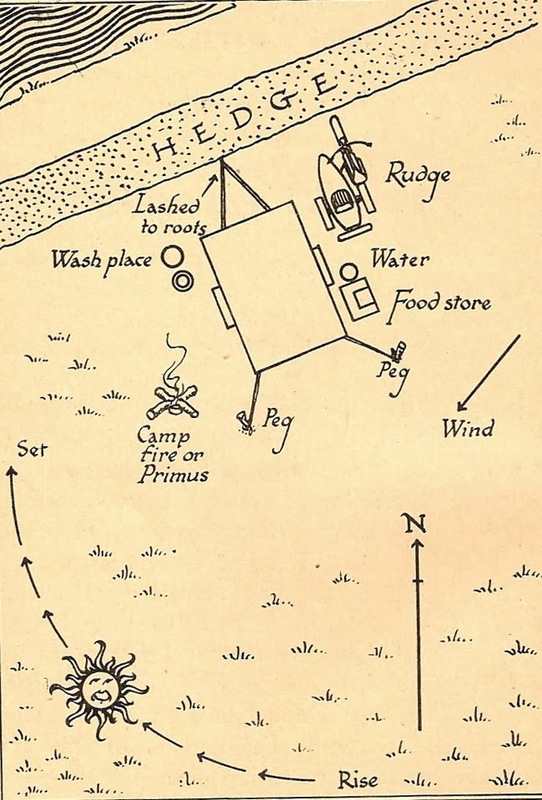 Going on the theory that bigger is better, Rudge ditched the old canvas tent and built this 7' towable caravan. The caravan was actually part of a complete motorcycle camping package which also included the motorcycle and attached sidecar. The motorcycle was a 500cc Rudge Four. "Four" denoted the four speed transmission and four overhead valves, not the number of cylinders. The Four was actually a single cylinder. The sidecar was a beautiful Semi-Sport which featured a polished aluminum body. Oddly enough, the sidecar used in the catalog photo is their milk truck sidecarrier. According to their catalog, the caravan slept two and had room for all your camping supplies. It must have been tough to pull a fully loaded caravan, sidecar, rider and passenger with a motorcycle whose output was rated at 15 horsepower! If camping wasn't your thing, Rudge also made a model for boaters. 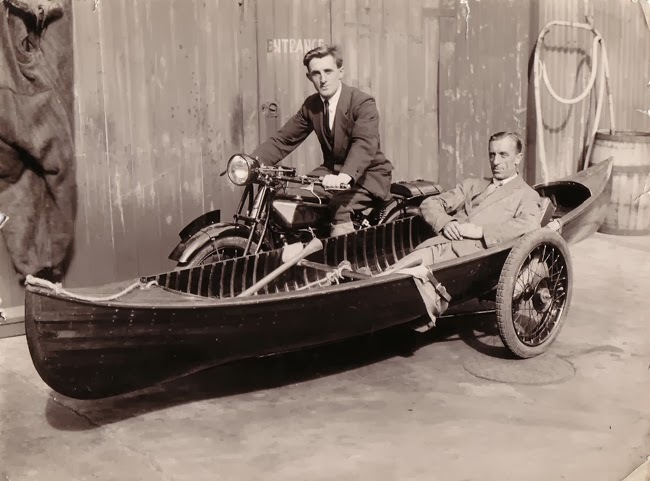 This one combined a Rudge Four and a 14' wooden canoe mounted on a sidecar frame. Neither of these "adventure" outfits were very successful and it is likely that only a few units were even produced. If you could find one, it would make for the ultimate Cannonball rig. No chase truck needed.